The Hon RH Rhodes, Postmaster-general, left for Wellington this evening. Interviewed by a reporter before his departure, he made several important statements with regard to telegraphic and other affairs. Upon the subject of wireless telegraphy, the Minister said that five radio stations in the dominion were in full operation. At Wellington the station was open continuously for all classes of business, and the stations at Awanui and Awarua maintained a continuous service for emergency calls besides transacting ordinary business during the evening. 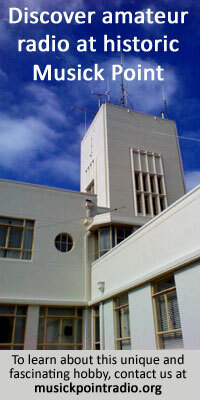 The stations at Auckland and the Chatham Islands were also open during restricted hours. The dominion might be regarded as being well served in the installation of wireless telegraphy. Close attention was given, he said, to affording every practical facility in radio-telegraphy, and the charges were fixed as low as circumstances would permit. As an instance of this, he stated that at the beginning of this year the rate for messages to and from steamers trading exclusively between Australia and New Zealand, or between New Zealand ports, to any office in this country was at 5d per word, a reduction of 50 per cent. Referring to cable rates to and from the United Kingdom, Mr Rhodes said that it had been publicly stated that the Pacific Cable Board was favourably disposed towards reducing the rate for cable messages between New Zealand and the United Kingdom, via the Pacific, from 3s to 2s 8d a word. This was understood to be the outcome of a motion tabled by Now Zealand’s representative on the board, and he was hoping that shortly a definite announcement would be made in this direction. On the subject of automatic telephones, Mr Rhodes said that in six centres, for which automatic telephone exchanges had been decided on, the preliminary work was well in hand. The apparatus was being manufactured, necessary buildings were being provided, and the engineering plans incidental to the change of system were being carried out.